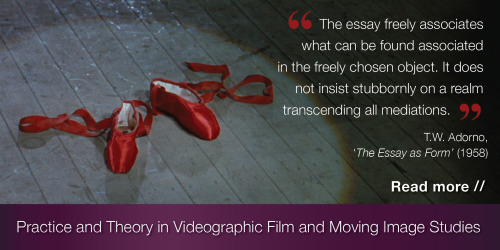 It a companion publication to issue 1.3, 2014, of the new peer-reviewed journal [in]Transition, A collaboration betweenMediaCommons and the Society for Cinema and Media Studies’ official publication, Cinema Journal, [in]Transition is the first peer-reviewed academic periodical specifically given over to videographic film and moving image studies. 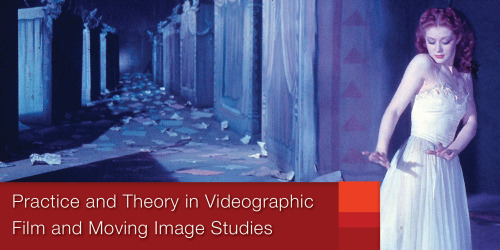 Issue 1.3 (edited by Catherine Grant), is devoted to a sustained reflection on the practice and theory of the audiovisual essay form, with particular reference to its emerging procedures and uses in film and moving image criticism and research. The table of contents for this section (also edited by Catherine Grant) can be found here. 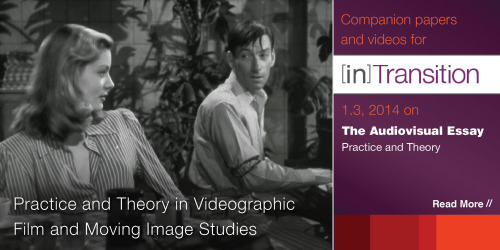 It will also function as a rolling publication for continuing reflections on and resources concerning the practice and theory of the audiovisual essay. The table of contents for this section (co-edited by Cristina Álvarez López, Catherine Grant, Chiara Grizzaffi, Hoi Lun Law, Adrian Martin, Lara Perski) can be found here.